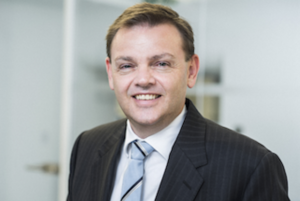 Being from Australia, the birthplace of litigation funding, I am particularly pleased to bring Dialogue readers The rise and rise of litigation funding, written as a Q&A with Craig Arnott, Managing Director of Burford Capital. The use of litigation finance is on the rise around the globe as corporations are using it as a better way to manage legal risk and budgets, and law firms are using it to drive growth. Of note, the industry is seeing the most dramatic growth in Asia and Australia. Following the abolition of the common law torts of champerty and maintenance and the formal ratification of third-party funding under the March 2017 Singapore Civil Law (Amendment) Act, demand for funding of Singapore-seated arbitration has increased considerably. Shortly after the new rules came into effect, Burford funded its first Singaporean arbitration matter—the first Singaporean-seated arbitration funded by a third-party finance provider. Apart from the simple fact that the legal framework for funding has only recently been implemented, the growing demand for arbitration funding can be attributed to escalating costs associated with arbitrations, which erode the value of corporate balance sheets by using capital that could otherwise be deployed to grow the business. On 1 February 2019, the much-anticipated Code of Practice for Third Party Funding of Arbitration started, laying out specific guidelines for third-party funding of international arbitrations seated in Hong Kong. The legislation has expressly confirmed the permissibility of legal finance to offset the associated costs of arbitrations seated in Hong Kong, bringing it in line with other international arbitration forums such as Singapore. The Arbitration Code of Practice complements the already long-established use of legal finance in insolvency matters—further widening the scope for the number of matters that can be funded in the region. From our observations of the Singapore market since the passing of the third-party funding legislation, we expect a similarly favourable reception of legal finance from the legal and corporate communities in Hong Kong. And as disputes relating to China’s Belt and Road Initiative arise (an inevitable outcome of so many high-value projects covering an area of the globe with more than half the world’s population), the availability of funding will render Hong Kong an ideal arbitration forum. Australia is the birthplace of litigation funding, where it emerged as means to assist insolvent claimants and their representatives before becoming associated almost exclusively with class action lawsuits. Since then, however, the evolution of funding in Australia largely stalled—but there is strong evidence that there will be a diversification of the kinds of matters being financed in the region. Burford’s 2018 Litigation Finance Survey found that 83 percent of Australian respondents expected litigation funding to be increasingly important in the business of law. While the financing of class actions will remain a mainstay of the Australian funding industry, going forward we anticipate legal finance being used by law firms and litigants in commercial litigation and arbitration. These financing arrangements will take a variety of forms: Financing may be provided on a single-case basis to pay legal fees and expenses, or across a pool of matters in the form of portfolio financing. When a law firm or company secures portfolio financing, the funds associated with the investment are immediately available for use in any of the cases in the portfolio and in some cases can be used for business purposes beyond litigation. In any given matter, how do each of the key stakeholders ‘play the game’? The presence of financing from Burford in no way changes the experience that clients and their lawyers would otherwise have. Clients continue to control their matters and all the decision-making around how the litigation proceeds or settles, and attorney-client privilege is unchanged. Although Burford receives regular updates, we are a passive investor without influence over decision-making or strategy. To get financing for a matter, we get an NDA in place and then carefully diligence matters to ensure that they meet our investment criteria. Our in-house team of more than 50 lawyers reviews the merits and economics of each case, and we make an investment decision based on the discrete facts of the matter (or matters) under consideration. Throughout the process, communication is key. Clients and firms seeking finance can aid the process by preparing a realistic, conservative budget, organising documents, understanding the risk profile of the case and—most importantly—being responsive to any questions or document requests. In return, Burford commits to being transparent with our clients for the duration of our partnership. As the industry matures, are the rules of litigation funding game going to change? If so, how? As noted above, the use of legal finance has grown dramatically over the past decade. Many outside the legal finance industry mistakenly assume that the follow-on to that growth will be commoditisation—but we believe the opposite is true. As legal finance matures, we expect lawyers to become more sophisticated users of legal finance, and more discerning about which finance providers they will work with. Just as lawyers would never conduct their banking affairs at an unproven corner credit union over JP Morgan or Goldman Sachs just because it offered cheaper money, lawyers will increasingly select legal finance providers based on factors beyond pricing. As lawyers become more sophisticated about legal finance, they increasingly will make distinctions based on the source, reliability and duration of the capital being offered, and will recognise the value of working with a potentially strategic partner. In anticipation of this future need, a handful of litigation finance providers are assuming the characteristics of established financial services brands, provoking clear segmentation in the industry. Greater business transparency will become a necessary requirement as a matter of course—as is already expected and provided by typical financial service firms. And only those firms with the necessary scale to be a long-term player in the capital investment business will be able to endure. How, if at all, are regulators responding to this trend? Friday 25 January 2019 marked the much-anticipated publication of the ALRC report on Class Actions Litigation and Third-Party Funding. This is the result of a year-long inquiry into the litigation funding industry in Australia, with a focus on the role financiers will play in the class actions space. The recommendations by the ALRC replicate the ongoing trend of professionalisation of third-party funders that is already naturally occurring in the market. Legal finance providers must, under the recommendations by the ALRC, demonstrate their financial strength through annual auditing. The core of the legal finance business is the ability to fund legal fees and expenses over a potentially many-years-long litigation process, so capital adequacy is of paramount importance for clients. This requirement will reinforce the subsequent divide between market players—helping to differentiate between those providers who conduct business more like professional financial service brands and lower-tier providers—who invoke the image of a collection of lawyers gathered together to cherry-pick a handful of cases. Usually we talk about ‘winners’ and ‘losers’ in a game like this. Do you see it this way? While every litigation or arbitration matter obviously has a ‘winner’ and a ‘loser’ upon conclusion, at Burford we want everyone to feel like a winner—and we take great pains to ensure that we structure any deal so that the litigant should receive the bulk of the damages in the event of a successful resolution to the case. When Burford finances matters, we assume an extraordinary degree of risk. Typically, legal finance is provided on a non-recourse basis, meaning that we lose our capital if the underlying matters are unsuccessful—and there are very few capital providers with the expertise needed to assess and assume that risk. We take on that risk and the inherent uncertainty of matters that may take years to resolve. When considering an expensive, protracted legal matter, our clients accept the notion of forgoing a portion of their recoveries or fees once their matters have resolved because they know that Burford’s capital not only provided them the means to pursue the matters in the first place but also because our agreement gave them “downside cover” and shifted risk from their business to ours. In the end, how we price an investment is flexible to meet the needs of our counterparties. The cost depends on the risk appetite of the claimant and the law firm, in addition to all the circumstances of the merits of the case. When we make an investment decision, we’re not just investing in the underlying merits of the litigation, we’re investing in and trusting the litigation counsel the claimant has chosen to execute a strong legal strategy—we’re investing in the entire potential of that case and the people who are going to run it. Craig Arnott is Managing Director of Burford Capital which has offices in the Asia-Pacific in Sydney, Singapore and Hong Kong. In later posts on Dialogue we’ll cover the rise and rise of litigation funding in other parts of the world and also assess its net socio-economic benefits. In 2017 I published a post about the views of another Burford Capital partner, Is Jon Molot right about BigLaw firms’ capital structure?